In Guy Maddin’s My Winnipeg he claims that the Kinsmen Sherbrook Pool is actually three pools stacked vertically on top of each other. Unfortunately this isn’t the case, but sometimes the truth is just as compelling. 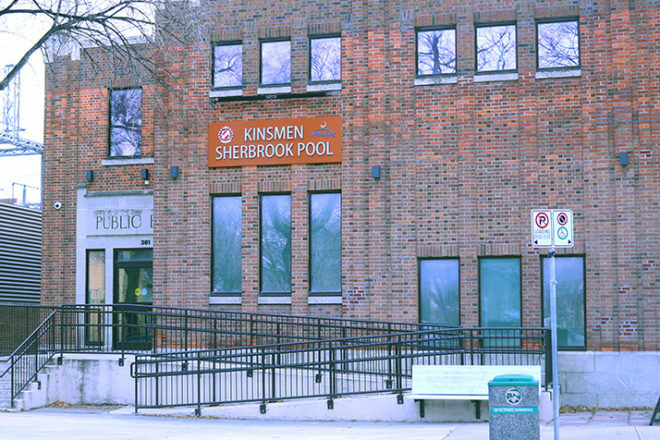 Opened in 1931, declared a Heritage Building in 2001, and newly reopened in 2017 after significant renovations, the Sherbrook Pool has played a vital part in Winnipeg’s West End community. Join the Friends of Sherbrook Pool as they take you through the history of the pool, its relationship to the community, and promote a new plaque in dedication to former city councilor Harvey Smith. No photos permitted inside the Kinsmen Sherbrook Pool. Guided tours will start at 2:30pm, 3:15pm and 4:00pm, lasting 30 minutes, maximum 35 participants.